As a puppy parent, it is important to learn about some common puppy illnesses and their symptoms, so that appropriate action can be taken if your puppy gets sick. Puppies are active and generally full of energy. 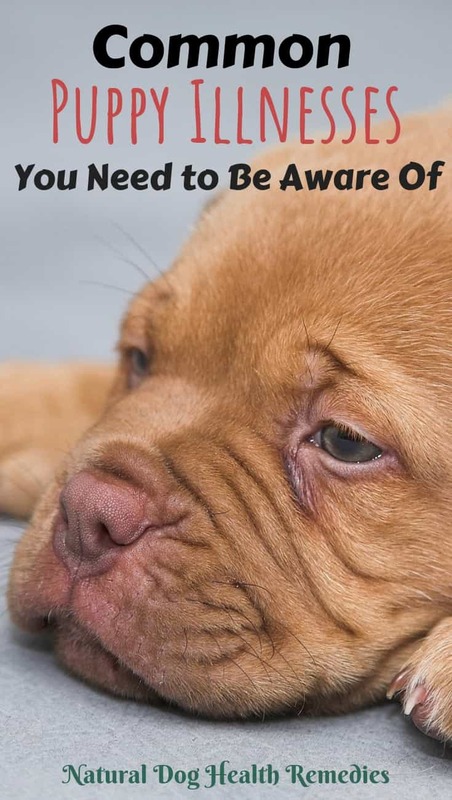 If you notice that your puppy has suddenly become weak and lethargic, or is sleeping a lot and not eating, then you should pay close attention to see if you can also identify some other symptoms that your puppy may show. Parvo is a viral disease that is highly contagious and can spread quickly to dogs that are not immune from the disease. Parvovirus affects mainly puppies and younger dogs. Puppies between weaning and up to six months of age are the most at risk. There are two forms of parvo - intestinal (more common) and cardiac (less common but more deadly). Puppies with parvo usually are weak and lethargic, and they are not eating. They may vomit and have diarrhea, which can quickly lead to dehydration. Quite often, they also have a fever. In serious cases, a puppy can die from parvovirus if timely treatment is not given. Please visit my article on Parvovirus in Puppies for more information on this illness. Distemper is one of the most common puppy illnesses. 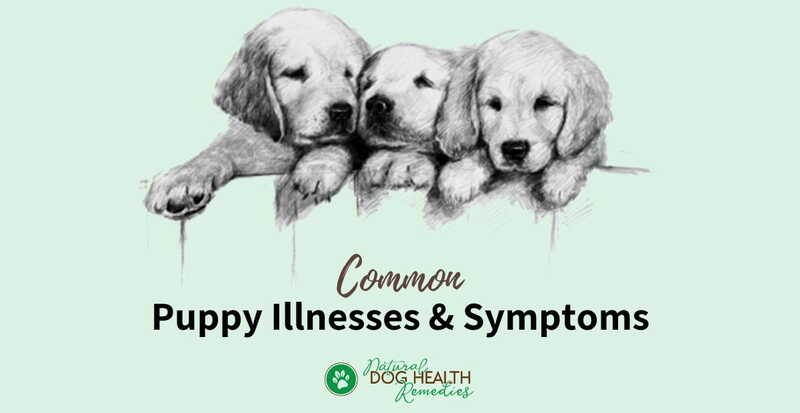 It is a highly contagious disease caused by a virus that affects and causes serious damage to dogs' and puppies' respiratory, gastrointestinal, and nervous systems. Puppies infected with distemper have a very high mortality rate. Although any dogs can contract distemper, those who are most at risk are young puppies (under four months of age) and dogs that have not been vaccinated against the virus. For this reason, timely vaccination against distemper is extremely important in protecting your puppy against this viral infection. Be sure to read this article for more information on distemper. Puppies are also susceptible to intestinal worms (e.g. hookworms, roundworms, tapeworms, whipworms). Sometimes puppies are born with such worms as they "inherited" the worms from the mother dog in-utero. Puppies with worms usually are weak, lethargic, always tired, and do not thrive. Some worms cause very serious (and sometimes fatal) health issues to puppies, such as anemia. It is so important to know the symptoms of worm infestation and take prompt action if you suspect your puppy has worms. 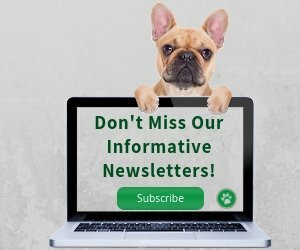 Visit our article on dog worms for more information. There are two types of mange: sarcoptic mange, commonly known as scabies, and demodectic mange, also known as red mange. Scabies can make puppies restless due to the intense itch it causes. In addition to itching, it also causes hair loss and you may also see crusty brown lesions on the skin. Scabies is contagious and can even infect people, so be very careful if you suspect your puppy has scabies. Red mange is non-contagious and is caused by another type of mites that live in the hair follicle. It causes hair loss and the area first affected is usually around the eyes, but may spread to the head and other parts of the body. Puppies and dogs with a healthy immune system are normally not affected by red mange, although the mites can be found in most pups. A strong immune system is therefore important to fend off problems such as mange. 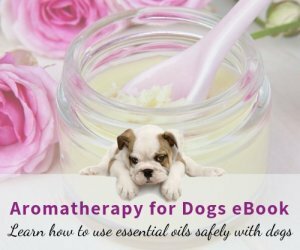 There are natural and gentle remedies that can be used to tackle puppy mange and to strengthen the immune system. Visit this page for more information. If your puppy is constantly shaking her head and scratching her ears, take a look at the inside of her ears. If you see dark brown crumbly wax in the ear(s), or if the affected ear gives off a bad odor, then chances are she has ear mites. Mite infestation can cause outer ear infections. As in most puppy illnesses, mites usually affect puppies with a weakened immune system. Visit this page for some home treatment ideas for ear mites. When a puppy gets to be 2 to 3 months old, permanent teeth start to erupt. Normally, each puppy baby tooth root will be absorbed by the adult tooth. This causes the baby tooth to loosen and fall out as the permanent tooth erupts. But sometimes this resorption process does not work properly. For example, when a permanent tooth erupts next to the baby tooth, the root of the baby tooth is not absorbed by the permanent tooth and baby tooth does not fall out. This is commonly referred to as a "retained deciduous tooth". Obviously, this is not good and needs veterinary attention. Read this page for more information on this teething problem. While we are on the topic of teething, also read this article for ideas on how to use natural remedies to soothe puppy teething pain. 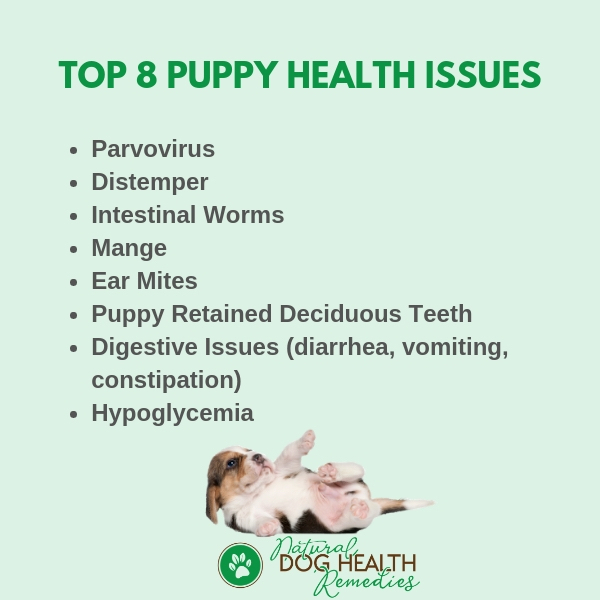 Puppies, like human babies, have delicate tummies and sensitive digestive systems, so it is rather common for them to suffer from digestive problems such as diarrhea, vomiting, and constipation. Puppy diarrhea can have a wide range of causes - some can be serious. If your puppy has developed diarrhea and is not getting better in a couple of days or so, and especially if she has mucoid or bloody diarrhea, take her to the vet immediately. Check here for some common causes of diarrhea in puppies and what you can do to deal with this problem. Constipation happens to puppies once in a while. If the puppy is otherwise fine and active, we don't have to worry too much. The most important thing is to make sure that the puppy drinks a lot of water and exercises. You may also add fiber to her diet, by mixing 1/4 to 1 teaspoon of ground flaxseed or psyllium husk with her food. On the other hand, if your puppy tries to poop but cannot or is straining very hard, then there is the possibility of an intestinal blockage, in which case you need to take her to the vet for treatment immediately. Also, if your puppy is suffering from chronic constipation, consult with your vet. In addition, make sure that she is fed a natural diet, supplemented by probiotics and fatty acids - both are essential in maintaining a strong digestive system. 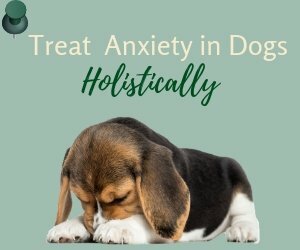 A puppy tends to throw up when she chows down her food too quickly, or eats too much, or if she starts exercising too soon after eating, or when she is under stress. If your puppy vomits due to one of these causes, the problem can be fixed rather easily. The most important thing to do is to make sure that she has plenty of clean water to drink, since puppies get dehydrated very quickly. If your puppy is throwing up and also showing signs of pain (e.g. drooling, whining), you should take her to the vet immediately. It may be possible that she has eaten something indigestible or even poisonous. If your puppy has chronic vomiting, or if she is lethargic, or is not eating, then consult your vet immediately. Chronic vomiting may be due to a number of reasons, such as food allergies, worm infestation, or infectious diseases (e.g. parvo, distemper). Hypoglycemia means an abnormally (and usually dangerously) low blood sugar levels. Young puppies, especially toy breed puppies, are susceptible to this condition because they are less able to store and mobilize sugar (glucose) the way that adult dogs do. Also, certain situations can easily cause an episode of hypoglycemic attack in puppies. For example, when the puppy misses a meal, becomes chilled, or is suffering from exhaustion, or anxiety. Hypoglycemia is a serious condition that can be fatal if quick treatment is not given. Familiarize yourself with the symptoms and treatment of this condition here. As you can see, puppies are susceptible to quite a few possible illnesses, some serious enough to be fatal. When caring for your puppy, it is important to exercise common sense. What I mean is, sometimes I get messages from site visitors saying something like, "My puppy has stopped for two days and has a fever. She is now pooping blood! What should I do to help her?" Now, if a puppy is showing such serious symptoms, isn't it common sense to take her to the vet right away, instead of going on the Internet to ask for advice? Your vet is your best source of help in emergency cases like this. And your puppy's health is in your hands. How To Check A Puppy's Vital Signs? Do you know how to take a puppy's temperature and pulse? Click here to find out how.